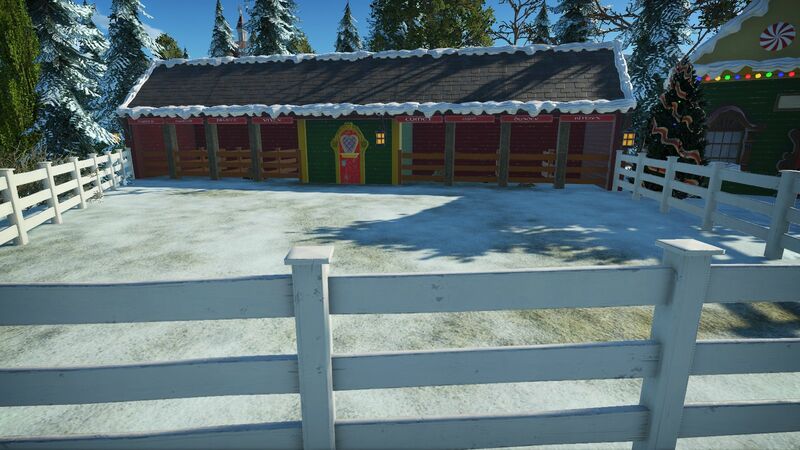 ﻿ Santaville - 1961 On the Workshop! 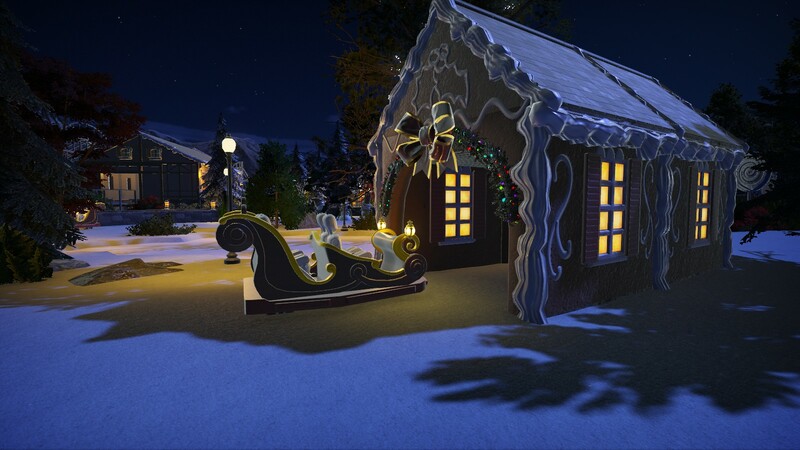 Santaville - 1961 On the Workshop! I love the whiteness of the carousel. With all the gingerbread detailing and the red & green roof panels it looks striking. And the carousel horse placed high on top lets the guests see the ride from a distance and tells them what the ride is. Ahh, I love the carousel! The workshop has recolourable horses... I suppose you could stick snowman arms on them to make temporary reindeer? I have a hunch some clever people will give us real reindeer eventually. You know, it occurs to me that the PC calendar jumps from 31 October directly to 1 March so Christmas never comes for the poor peeps. How do you work around that? BTW, have you considered submitting this to the Frontier contest? I can't. I used many objects and structures from the workshop. I like the name of your Scrambler ride. Sorta like "Tinkerbell in a Blender". 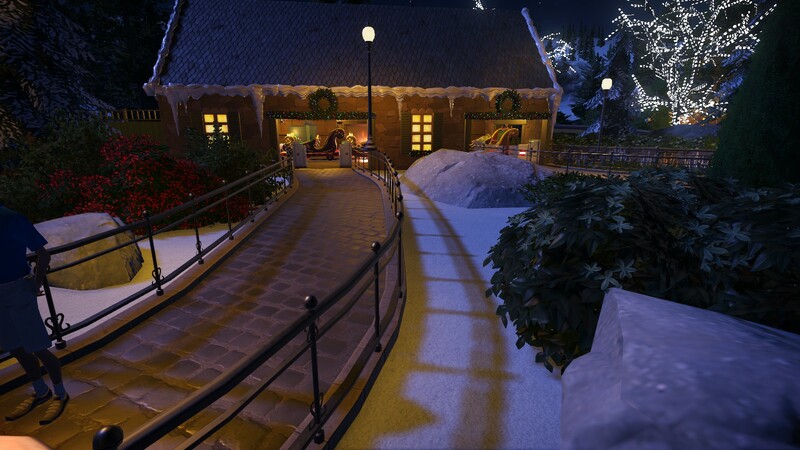 Really nice looking gingerbread covered bridge, too. Thanks! 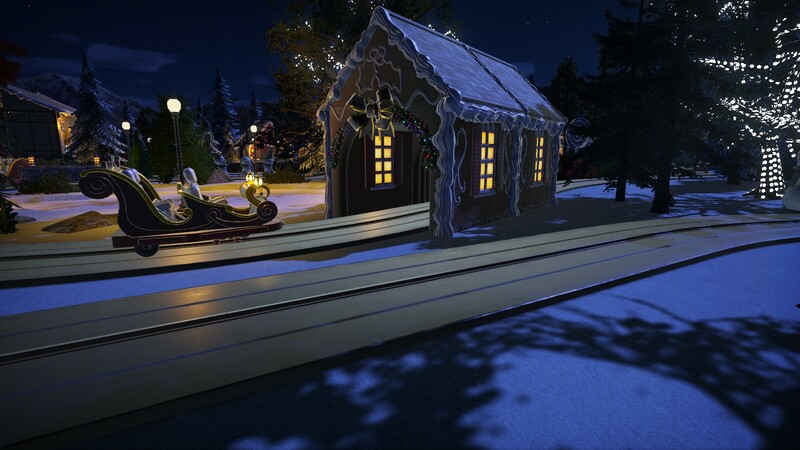 I actually posted the wrong pics for the sleigh ride! Wow, even better! It's funny, in my post above, I almost said (in jest): "You shoulda covered the tracks! And attached a horse to that sleigh!"... I'm still waiting for the horse. 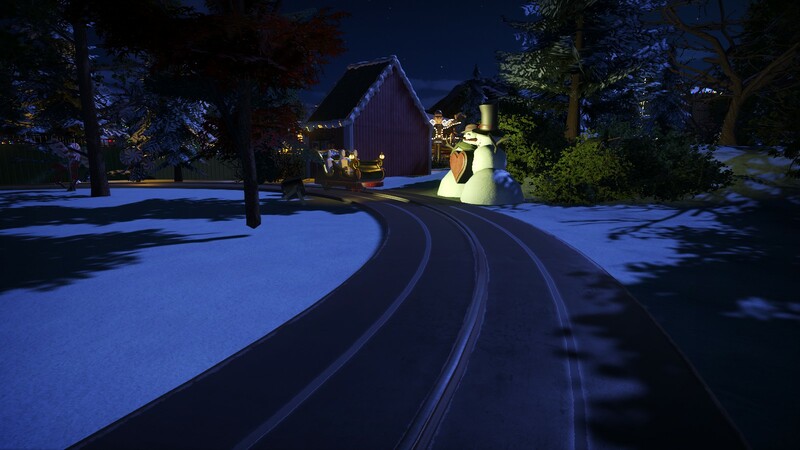 Re: Santaville - 1961 On the Workshop! 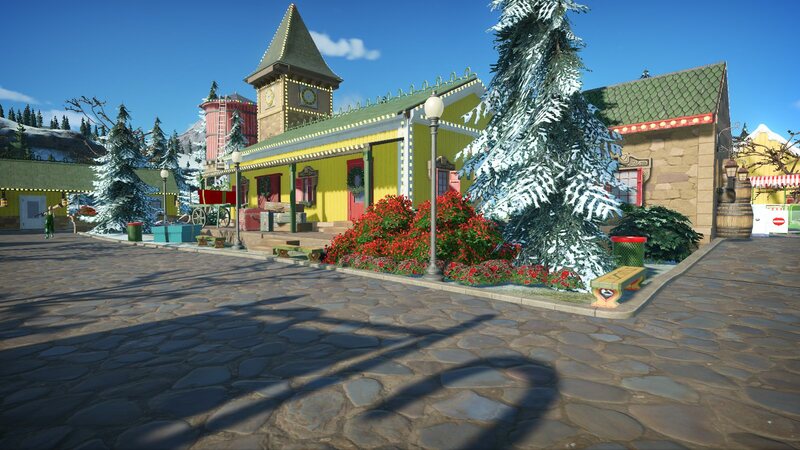 Set in the early 1960s, Santaville is supposed to remind you of those old regional parks that dotted the U.S. landscape. 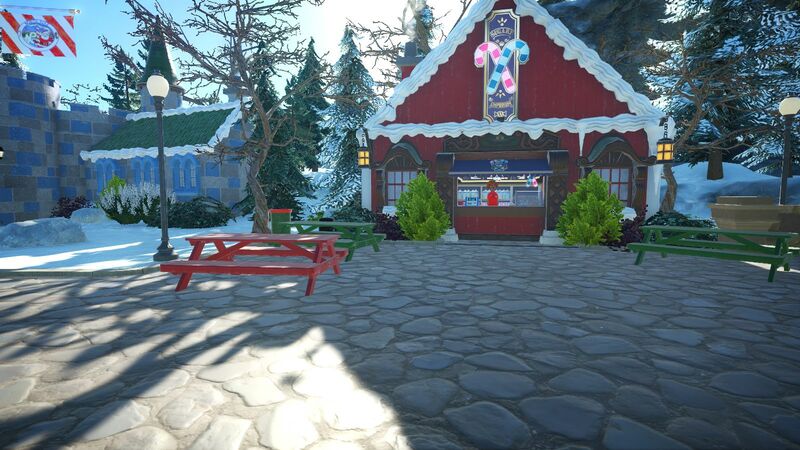 North Pole USA in Colorado is still around today as an example. Blueprints from Fisherman and CTRSind are included. 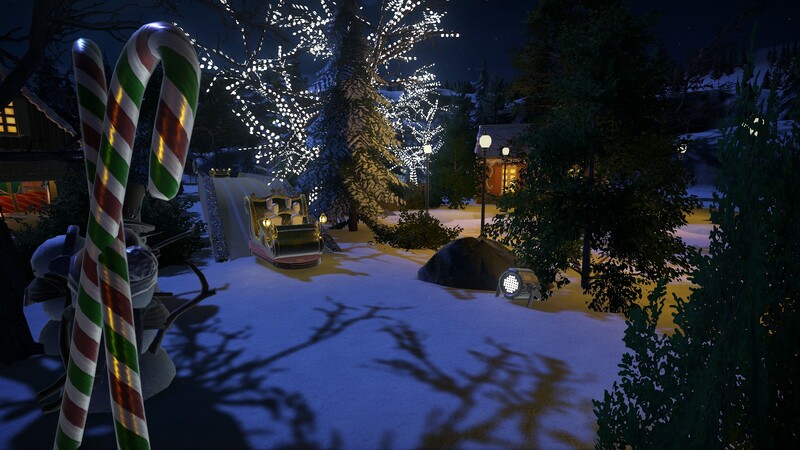 The coaster and the carousel ride skin are also workshop items, but I deleted the originals, so I do not know who to credit. The ice rink and pond in the sled ride use a billboard image of skating ice. You can find any old ice image online. 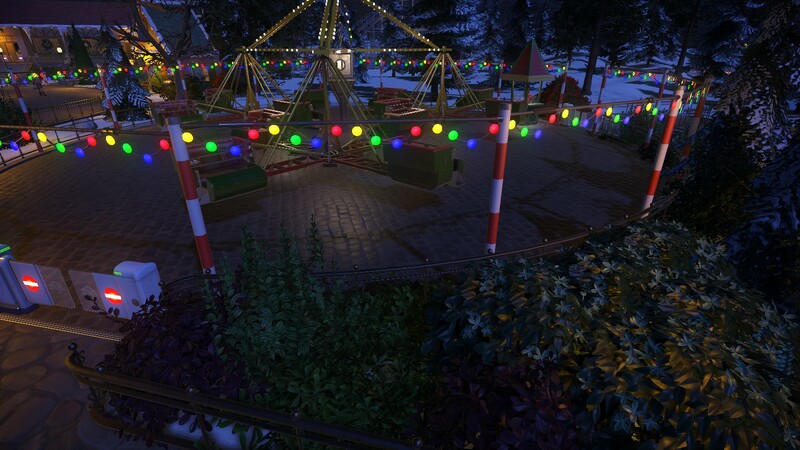 I may update this park at a future date to reflect a more "modern" version of the park. 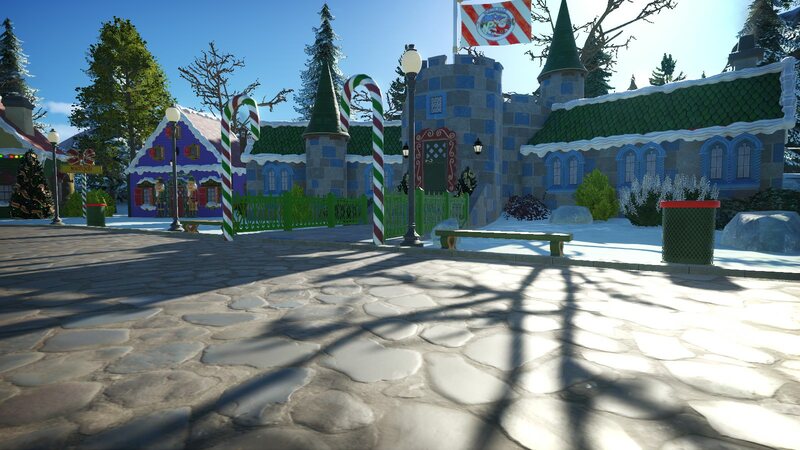 Thank you for looking over my park, and Happy Holidays! 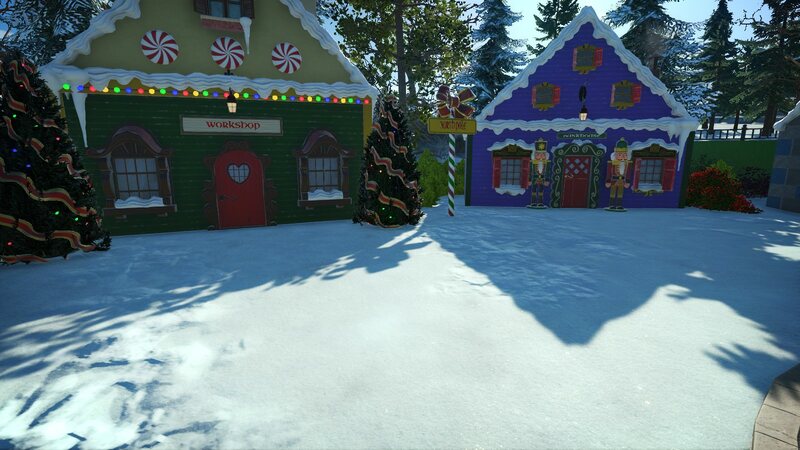 I just took a stroll through Santaville, and it was so charming. It really put me into the Christmas spirit. I enjoyed the sleigh ride and laughed when I say the melted snowman. I guess he was too close to that tree covered with string lights. It must have put off quite a bit of heat. 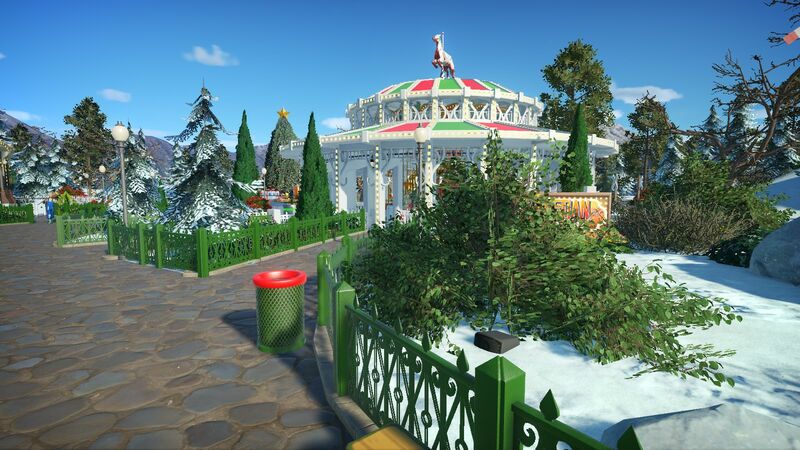 It's a great little Christmas park. 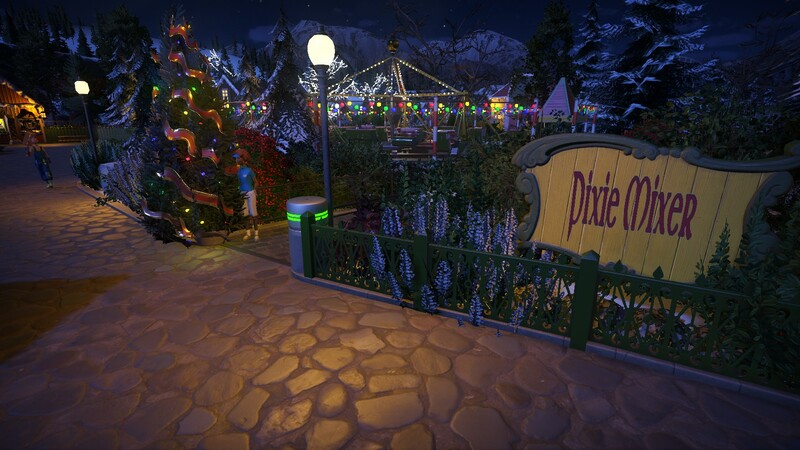 Hopefully the park will expand with some new additions for next year's holiday season. I, too, was thinking "Tinkerbell in a blender"
Oh, Rich, it's just beautiful! 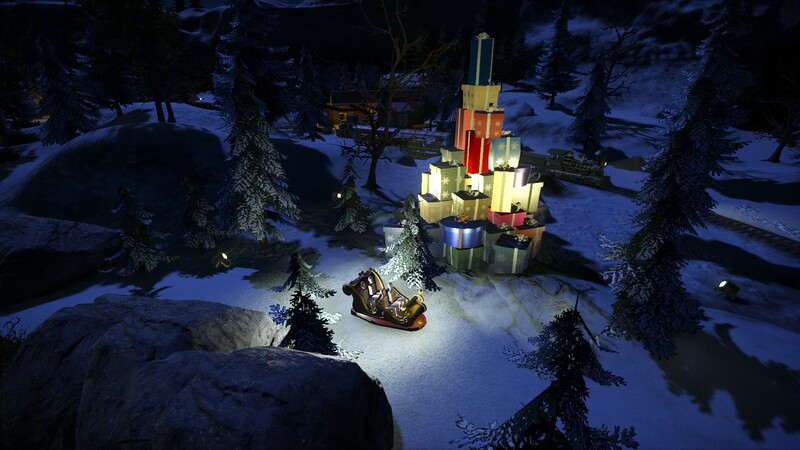 I LOVE the sleigh ride!